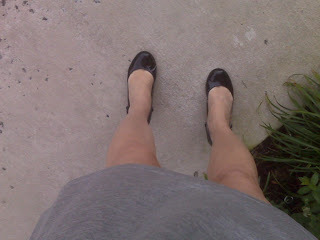 I tweeted the other day about the ridiculousness of CVS carrying 432 kinds of hosiery when no one wears hose anymore. Immediately, readers shot back that they still sometimes carry a torch for these stretchy torture chambers. I hate them. Loathe them. It's 53 degrees today and I'm still refusing them. Oh, winter will eventually beat me into tights submission, but I'll be craving flip flops each day until spring. FLORIDIAN RULE: If I ran the world, if it's below 50 degrees you can wear jeans to any occasion. Our office lifted the hosiery requirement a few years ago thank God! Now I'm just waiting for them to enact the please shave your legs rule for those that just. don't. get. it. true. that is an accompanying rule. i don't think it would be a heavy lift to ask charlie crist to require everyone to be tanned and waxed at all times in florida.